Protein is an important component of every cell in the body. Our skin, hair and nails are made mostly from protein and optimising your intake is key when looking to lose weight, or maintain a healthy weight. Protein powders can be a valuable addition to your diet – gone are the days when protein shakes were just for body builders! They are a particularly important consideration for vegetarians and vegans. But not all protein powders are created equal with many containing synthetic additives, unnecessary sugars and a long list of other nasties. Finding a good quality protein supplement can be a minefield! Here, I share with you five of the best protein powders I have found. Simplicity is key with Pulsin's protein powders, and their rice protein powder is made purely from brown rice. This makes for a really plain-tasting protein that can be added to savoury dishes like vegetable soups as well as smoothies. It offers great value for money, too. If you're looking for a protein powder to add into your morning or post-workout smoothie, try this SunWarrior Berry powder to a berry-based smoothie for a really tasty fruit treat. SunWarrior Berry also tastes great on it's own, mixed with almond milk. Not only are these protein powders organic, they also come in convenient individual serving sachets as well as larger tubs for convenience. There are different blends for different goals, from beauty to energy. A great choice if you're looking for a natural meal replacement shake. In addition to hemp protein, these powders contain a mixture of nutritious ingredients such as apple pectin for fibre, seeds and coconut for a healthy fat fix as and nutritional yeast for b vitamins. 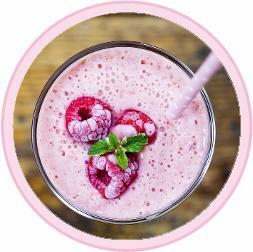 Purition shakes are available in range of unique flavours, from pumpkin spice to coffee and walnut. If you are suffering from an autoimmune condition, beef collagen is understood to be the best protein supplement for you. Planet Paleo's collagen powder is from pasture raised cows and is the best one I have found. You can purchase all of these protein powders from www.naturaldispensary.co.uk and use the code ‘PEARSON10' at checkout to get a 10% discount on these products and anything else you purchase.